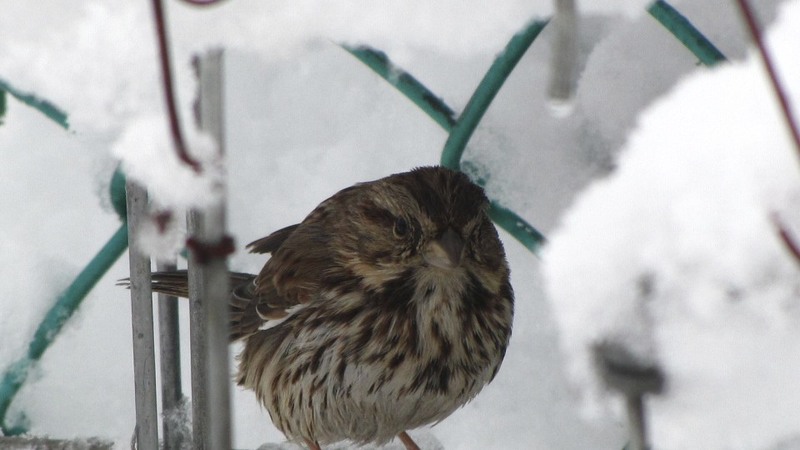 There are many little brown birds that visit feeders in winter. Some are sparrows, like the Song Sparrow above. Others are finches like the House Sparrow and the House Finch. I like this photo of the Song Sparrow (Melospiza melodia) looking right at me. The most common sparrows are the Song Sparrow, Chipping Sparrow, Dark-eyed Junco, White-throated Sparrow and the American Tree Sparrow. If you learn those sparrows you can identify the most commonly seen sparrows in the eastern United States. All of these birds come to bird feeders. Of these five birds the Chipping Sparrow and the American Tree Sparrow look similar, both have rusty-red caps on their heads. But the American Tree Sparrow has a central spot on their un-streaked breast. 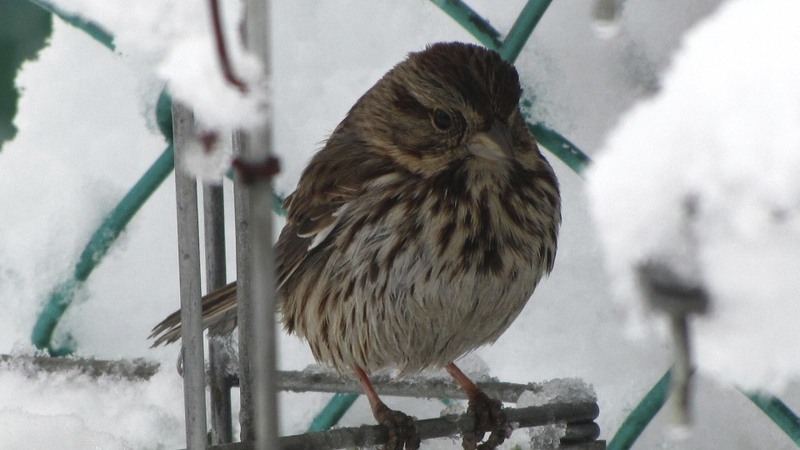 I listened to the soft, sweet ‘peeps’ of the sparrow as she/he hopped beneath garden cages. I don’t see many Song Sparrows in my garden, usually one or two looking for fallen seeds from the feeders the House Sparrows are dominating. But, listening to the soft peeps and low whistle of these little birds sounds hauntingly beautiful between the falling snowflakes. Amazing how snow brings these lovely little ones out of the wetland grassy areas on our property and up to the feeders. 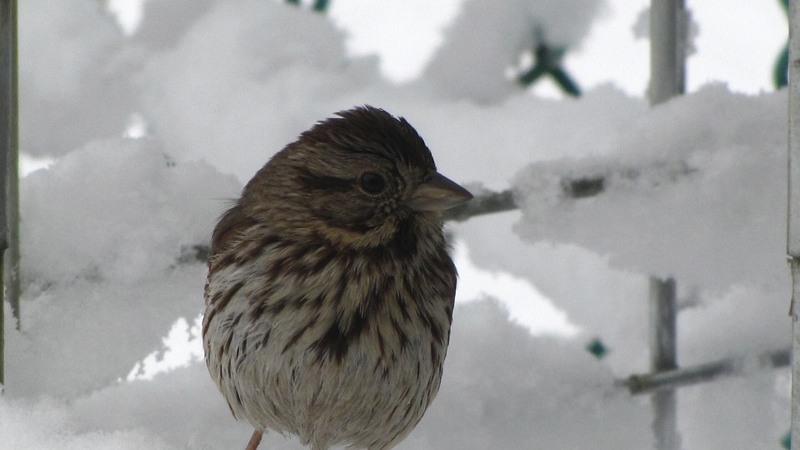 The song sparrows were busy feeding on ours today as blizzard-like snow fell most of the day in the Willamette Valley. I agree. I think harsh weather brings out many species not often seen during decent weather. It is a good time for photos and bird watching in the backyard.